The climate has changed in terms of what was once acceptable. Times are changing and "Family Guy" is changing with them. "Family Guy" executive producers Rich Appel and Alec Sulkin revealed they're phasing out gay jokes from the animated Fox comedy. While speaking with TVLine about the Sunday, Jan. 13 episode that featured Peter Griffin in a bloody battle President Donald Trump the duo confirmed what Peter told the animated Trump, they are indeed phasing out gay jokes. "If you look at a show from 2005 or 2006 and put it side by side with a show from 2018 or 2019, they're going to have a few differences. Some of the things we felt comfortable saying and joking about back then, we now understand is not acceptable," Sulkin said. "It's almost unique to 'Family Guy,' though I can think of one other show that's been on the air longer. But if a show has literally been on the air for 20 years, the culture changes. And it's not us reacting and thinking, 'They won't let us [say certain things].' No, we've changed too. The climate is different, the culture is different and our views are different. They've been shaped by the reality around us, so I think the show has to shift and evolve in a lot of different ways," Appel added. The climate has changed in terms of what was once acceptable. That precisely why Steve Carell said an Office revival with him back as Michael Scott wouldn't work. "Because The Office is on Netflix and replaying, a lot more people have seen it recently," he said. "And I think because of that there's been a resurgence in interest in the show, and talk about bringing it back. But apart from the fact that I just don't think that's a good idea, it might be impossible to do that show today and have people accept it the way it was accepted 10 years ago. The climate's different," Carell said. 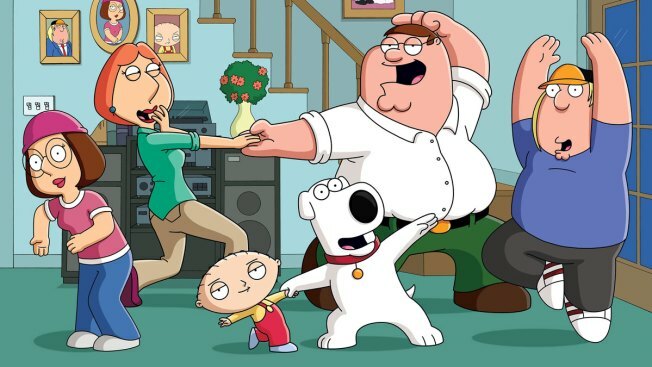 "Family Guy" airs Sundays, 9 p.m. on Fox.